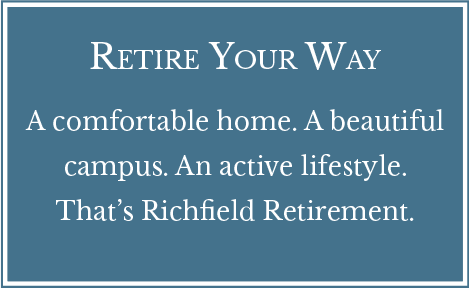 At Richfield Living, enjoy a care-free lifestyle and security that gives you peace of mind. 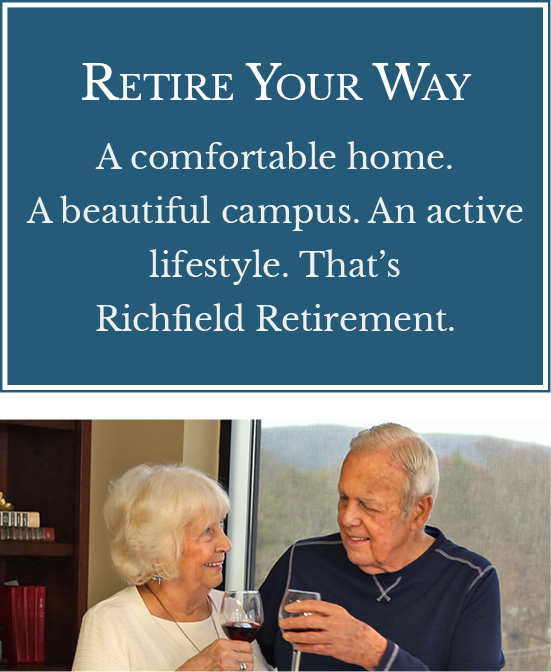 Whether you prefer the convenience of apartment living or the extra space and privacy of a patio home, you’ll find Richfield Living provides options and flexibility in comparison to other retirement communities in Virginia. With our renewable rental agreements, you can select living options designed to make your cost of living as affordable and closely matched to your needs as possible. Our goal is to provide a retirement community that fosters independence, wellness and security so you can enjoy life to the fullest, right here in Virginia. Not just a place to live. A home. Trade shoveling sidewalks for taking long walks. Trade building maintenance for building friendships. At Richfield Living, our warm and caring staff will take care of the little things, so you can enjoy all the amenities our retirement community has to offer. Additionally, should your health or the health of a loved one change, you’ll have access to a full continuum of healthcare services without leaving the Richfield campus. Thanks to Richfield Living, Kathy Smith and her sister experienced peace of mind when their mother Velma was ready to move to a retirement community in Virginia. Velma didn’t need to worry anymore – and neither did Kathy. Watch their story here. Stay fit and improve your quality of life at our Wellness Center. 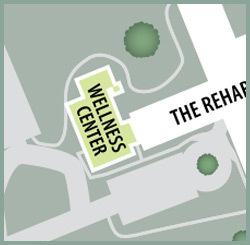 Located on the first floor of The Rehab Center, Richfield’s Wellness Center offers residents in our apartments and cottages a place to achieve their wellness goals and rediscover a renewed quality of life. Our facility delivers a host of modern and comprehensive features. Included are a 2,500-square-foot gym with a variety of circuit-training equipment, and HUR-brand fitness machines to reduce stress on joints. The Wellness Center also features a salt-water therapy pool, individual wellness coaching, yoga and exercise classes and outpatient therapy. Through individualized wellness programs and free access to The Wellness Center, residents are able to rediscover their wellness potential. View the Wellness Center image gallery. Harold Landis and his wife Helen live in a cottage at the Lakeside Estates. Listen to Harold’s story and find out how having access to the Wellness Center at Richfield has enhanced his life. We’d love to tell you more about our wellness program and how it can benefit you. Call us at 540.380.6523.